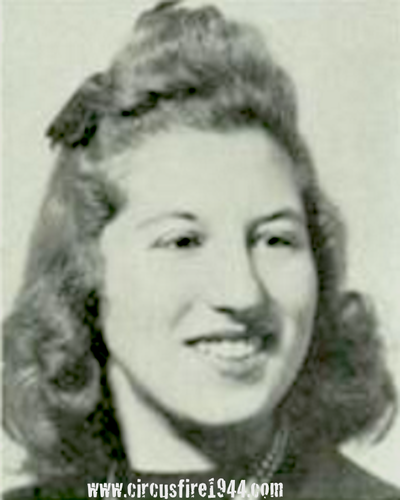 Miss Roslyn Chia Kruh of 15 Wiltshire Lane, West Hartford, was born June 28, 1922 in Hartford, daughter of Hartford native Etta (Haas) and Austrian born Hyman Kruh. She was found injured at the circus grounds after the fire on July 6 and was admitted to St. Francis Hospital at 3:30pm with burns to the face, chest, back, arms, and legs. In spite of supportive treatment, she ran a downhill course and passed away late in the evening of Sunday, July 16. 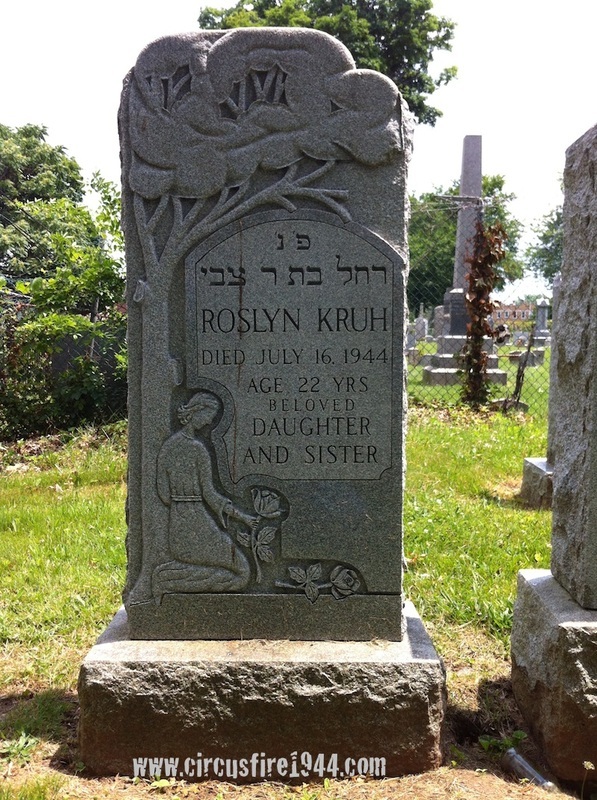 Miss Kruh was buried at Zion Hill Cemetery in Hartford after services at the Weinstein Funeral Home on July 17. She leaves her parents, Etta and Hyman, and two brothers, Bernard, 27, with the US Air Corps, and Albert, 15. Roslyn, also known as "Rusty", attended the circus with an aunt and two cousins visiting from New York. When the fire broke out, Roslyn helped her party out of the tent then returned to help others, ultimately at the expense of her own life. Miss Kruh had worked as a stenographer and bookkeeper at Siegel's Shop on Pratt Steet in Hartford and at the Florence Travis Shop, and had attended Holcomb Street School and Weaver High, class of 1940. Her estate was awarded $12,000 by the arbitration board. 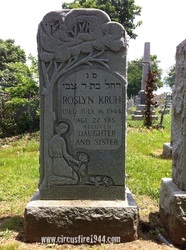 In September, two months after the fire, the B'nai B'rith Ararat Auxiliary was given a donation collected by Roslyn's friends to be used to purchase a portable electric organ for the U.S. Navy, inscribed "In memory of Roslyn Kruh from her friends in Hartford."